Mostly cloudy, with a low around 50. West southwest wind 9 to 13 mph becoming northwest after midnight. Winds could gust as high as 22 mph. Mostly cloudy, with a high near 66. North northeast wind 7 to 9 mph, with gusts as high as 18 mph. Partly cloudy, with a low around 48. North northeast wind around 6 mph becoming calm in the evening. 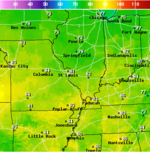 Mostly sunny, with a high near 71. Calm wind becoming east around 5 mph in the morning. Mostly clear, with a low around 50. Light south southeast wind. A chance of showers after 2am. Partly cloudy, with a low around 53. Chance of precipitation is 40%. 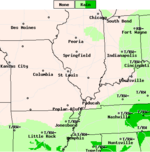 A chance of showers before 2pm. Mostly cloudy, with a high near 73. Chance of precipitation is 40%.